The pocket-sized offspring of LUNA go for MEN delivers all the same skin-cleansing, age-defying benefits of its full-sized ancestors, whilst being perfectly portable. Fully rechargeable and dual-sided – one side boosts the penetration and pore-purifying properties of your cleanser, while the other helps to maximise absorption of your skin care whilst promoting circulation to leave your complexion feeling ‘plumped’ and looking luminous. This holds a charge for up to 30 uses, and is ideal for gym-goers or jet-setters. 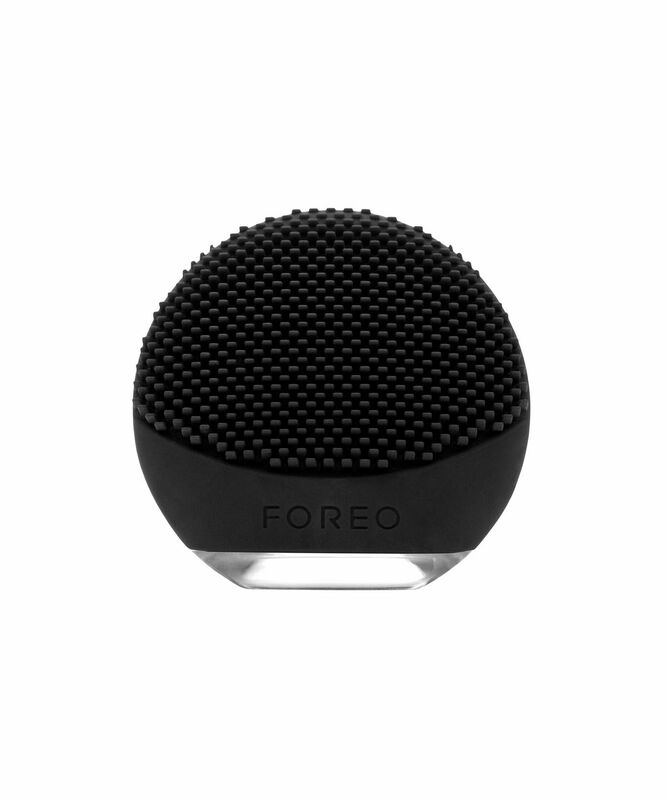 FOREO’s LUNA go for MEN helps take the hassle out of shaving whilst leaving skin super-clean, smooth and refreshed. 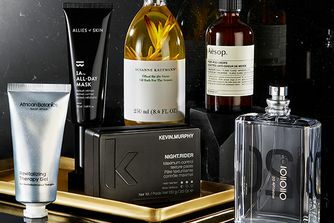 Perfectly tailored to gentlemanly complexions, this chic black device is quick and efficient – cleansing face (and neck!) deeply to counteract congestion, prepare skin for shaving and reduce the visibility of wrinkles. Harnessing FOREO’s innovative sonic wizardry, that stimulates micro-circulation to oxygenate cells, accelerate metabolism and encourage the elimination of accumulated toxins for an even, blemish-free visage. With two intensities and 8000 T-Sonic pulsations per minute, simply flip the device to then enhance the penetration of your serum and/or day cream and ‘relax’ your facial muscles, concentrating on the brow, around the mouth and the eye contour to diminish visibility of fine lines and prevent development of furrows. 1. Apply your favourite cleanser (avoid clay based cleansers, or those with exfoliating particles as these can compromise the silicone). Wet the LUNA Go and turn on. 2. Gently glide the LUNA Go's cleansing surface in circular motions over your face for 1 minute. 3. Rinse and dry your face. Apply skin care products, if desired. 4. Flip to Anti-Ageing Mode. Press the device's smooth, ridged surface onto wrinkle-prone areas for a total of 1 minute. Comes complete with a USB charging cable and travel pouch. I travel a lot, because of my profession, and I always have to be shaved, well dressed and convenient. That's why I bought Luna go for my trips, even though I already have my Luna for men. This cleansing brush makes my skin softer, less oily and I have more self-confidence. I travel a lot, because of my profession, and I always have to be shaved, good dressed and convenient. That's why I bought Luna go for my trips, even though I already have my Luna for men. This device makes my skin softer, less oily and I have more self-confidence.